In his recent book The Reconciliation Manifesto, the late Indigenous leader Art Manuel spells out how the Liberal government burned its fingers in the handling of the UN Declaration on the Rights of Indigenous Peoples (UNDRIP). Canada first voted against UNDRIP, along with other settler states—the US, New Zealand and Australia in 2007. Later, after Obama’s administration agreed to its principles, Canada under Harper reluctantly followed suit in 2010. And so it was no surprise that the Trudeau government when it came to power supported UNDRIP. However, when Indigenous Affairs minister Carolyn Bennett declared before the UN that Canada would fully embrace codifying UNDRIP into law, many people were ecstatic, thinking she might add some real teeth to UNDRIP in Canada. Six months later, on what some referred to as black Monday (but which might be more appropriately be dubbed ‘Settler Monday’) the NDP government in BC, supported by the Green Party, refused to terminate BC Hydro’s Site C dam on the Peace River despite a scathing BC Utilities Commission report criticizing the project and clear objections from the First Nations most affected. As it took the decision, the NDP seemed almost hyper-aware of the harm this brings to Indigenous peoples. 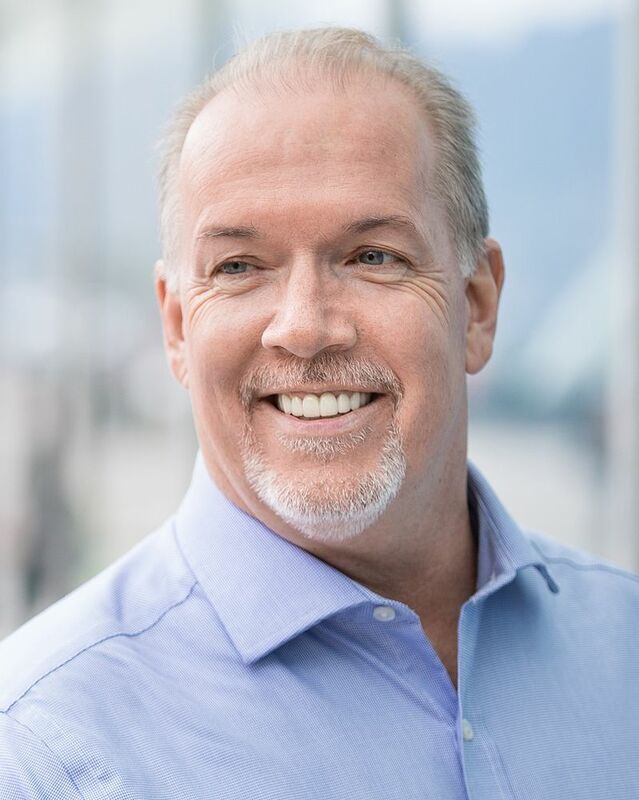 Thus Horgan’s fumbled attempt at honesty – "I am not the first person to stand before you and disappoint Indigenous people." But he may be the first person to make a written promise to pledge to abide by three treaties/conventions and then bury them all under a single $10 billion megaproject. The Truth and Reconciliation Commission of Canada (TRC) in its reiterates the importance of UNDRIP at least twenty times in its “Calls to Action”. And the Tsilquot’in court decision recognizes Aboriginal title including the right to decide how the land should be used. Fearful of electoral retribution from business and from BC’s settler society for saddling them with a $2 billion dollar debt with nothing to show for it, the NDP elected instead to saddle First Nations again with continuing cultural and economic dispossession. As a descendant of a settler family who has been on these Indigenous lands for four generations, I am mortified. I cannot help but recall Bev Sellars’ remonstration to the descendants of early settlers: “I know you are not personally responsible for these laws and policies, but now that you are aware, you have a responsibility to help change the situation. You cannot turn a blind eye to this because, if you do, you will be doing the same thing as your ancestors.” John Horgan should have listened to his family. As an aspiring environmentalist I am deeply disappointed by this decision. No doubt the federal government will rejoice and use the NDP decision on Site C as justification for its own backing of Kinder Morgan. Even the Green Party is complicit in its failure to make Site C a confidence issue. And as an historian, I can’t help feel that the past is repeating itself. Over a hundred years ago Cowichan Chief Charlie Tsulpi’multw, together with Squamish Chief Joe Capilano and Shuswap Chief Basil David, travelled to London to lay before King Edward VII a petition protesting the seizure of their lands and the lack of voting rights. They received platitudes only. The televised announcement of this decision, with the downcast faces of the cabinet, suggests that there was an intense debate and intense disappointment with the decision, even in the NDP. Yet can we imagine reconciliation without some sacrifice on the part of those of us who have benefited from the land that rightfully belong to First Nations? Some in the NDP seem to believe that their good intentions outweigh the long-ignored and trampled rights of Indigenous peoples. They seem to willfully erase the historical debts this province has incurred. A province like no other, it dispossessed First Nations of their lands, refused to sign treaties, supported cultural genocide, excluded First Nations and Asian Canadians from voting, and attempted to ethnically cleanse Japanese Canadians from the province. Today, First Nations continue to bear the brunt of that legacy. The debt is long overdue but the NDP seems to think it can avoid it with promises to do better next time. Been there, done that. The sub-text to such assertions is that First Nations are divided and some wanted Site C. Some might conclude that the lack of consensus among First Nations gives a green light for settler society to make the decision for them. Really? BC Hydro has two huge welcome poles in the lobby of its headquarters on Dunsmuir Street in downtown Vancouver. Does this mean it supports First Nations? The fact the government or crown agencies can use their big purses to influence outcomes is, in this instance, adding salt to the wound. The NDP has done much in the past to support First Nations, just as they did with Japanese Canadians when they supported their right to vote in the 1930s. Yet. Seventy-five years ago Harold Winch, the leader of the NDP’s predecessor the CCF (Co-operative Commonwealth Federation) went to Victoria to meet with then Premier John Hart. He and the premier then phoned federal Cabinet Minister Ian Mackenzie to demand that something be done about Japanese Canadians on the Coast. The next day the federal government issued Order In Council 1486, beginning the uprooting, dispossession and exile of Japanese Canadians. Good intentions, sadly, are not enough. John Price teaches history at the University of Victoria.